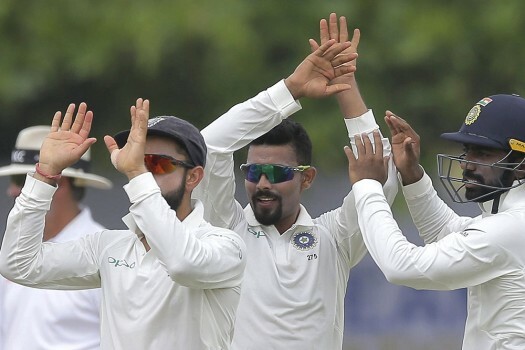 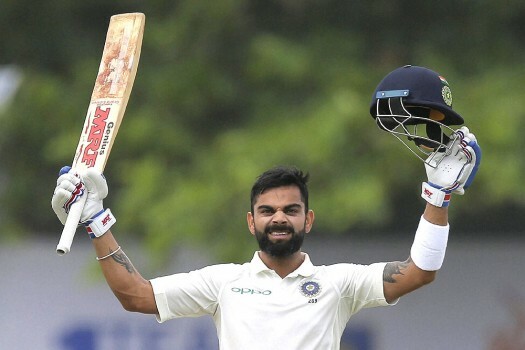 Indian cricket captain Virat Kohli celebrates scoring a century during the fourth day's play of the first test cricket match between India and Sri Lanka in Galle, Sri Lanka. 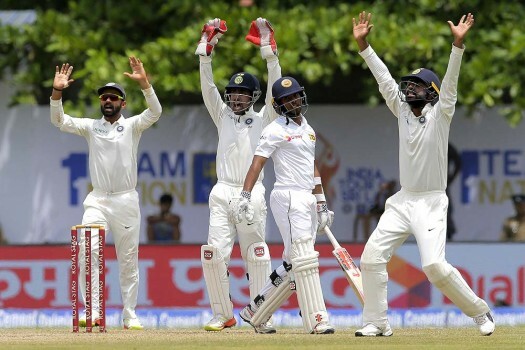 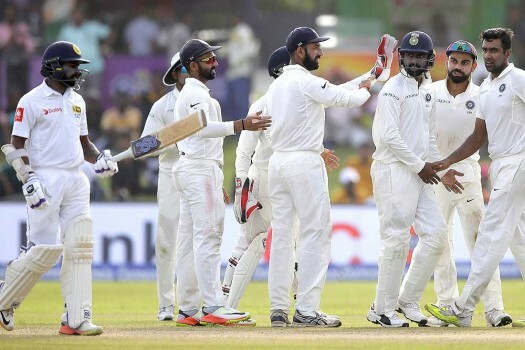 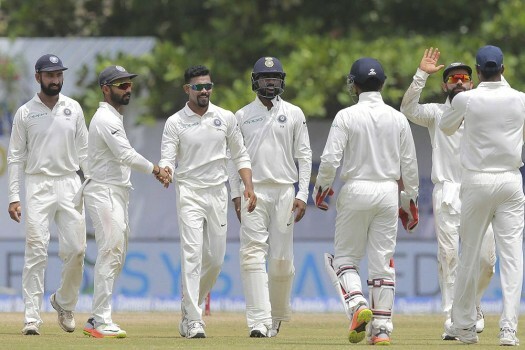 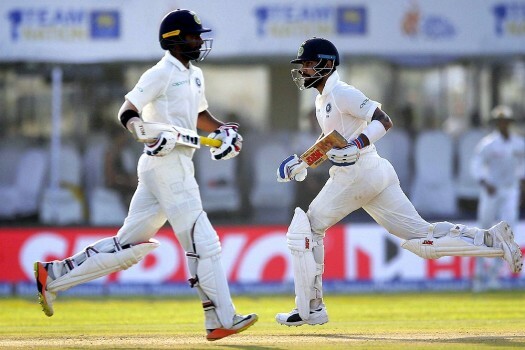 India's captain Virat Kohli, right, and Abhinav Mukund run between the wickets during the third day of the first test cricket match against Sri Lanka in Galle, Sri Lanka. 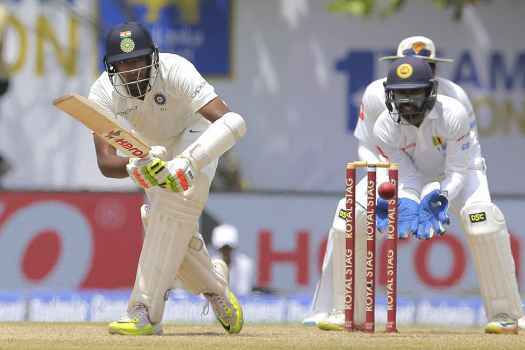 India's Ravichandran Ashwin plays a shot as Sri Lanka's wicket keeper Nirishan Dickwella watches during the second day's play of their first test cricket match in Galle, Sri Lanka. 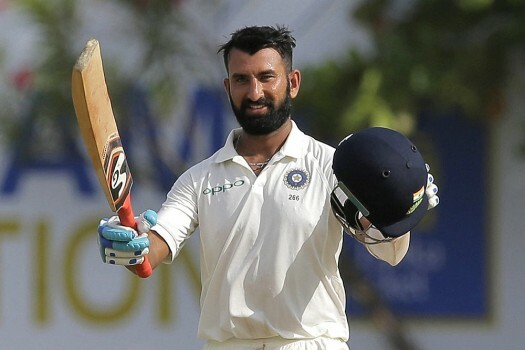 India's Cheteshwar Pujara celebrates scoring a century during the first day's play of the first test cricket match between India and Sri Lanka in Galle, Sri Lanka. 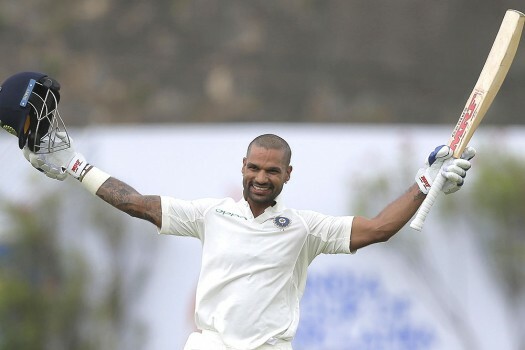 India's Shikhar Dhawan celebrates scoring a century during the first day's play of the first test cricket match between India and Sri Lanka in Galle, Sri Lanka. 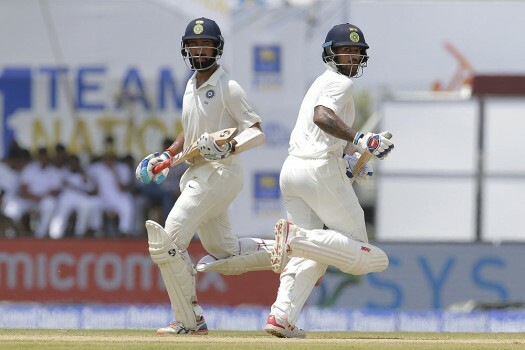 India's Cheteshwar Pujara, left, and Shikhar Dhawan run between wickets during the first day's play of the first test cricket match between India and Sri Lanka in Galle, Sri Lanka. 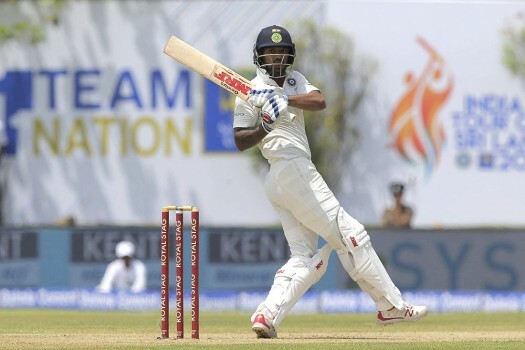 India's Shikhar Dhawan plays a shot during the first day's play of the first test cricket match between India and Sri Lanka in Galle, Sri Lanka. 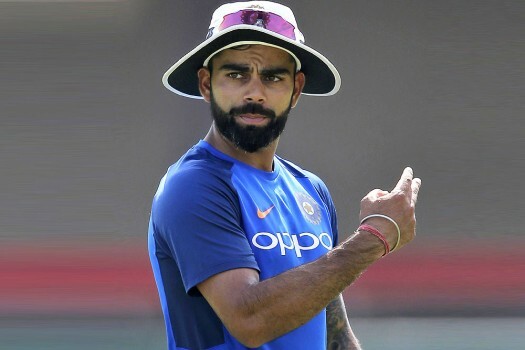 India's cricket captain Virat Kohli gestures during a training session ahead of the first test cricket match against Sri Lanka in Galle, Sri Lanka. 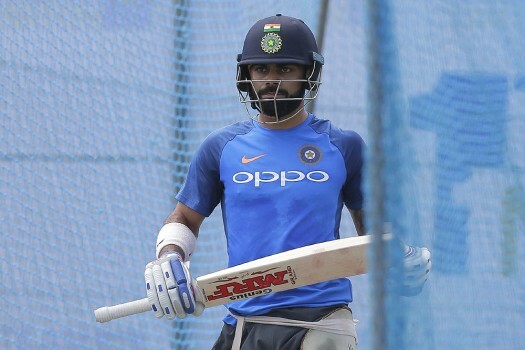 India's cricket captain Virat Kohli walks in a batting net during a training session ahead of the first test cricket match against Sri Lanka in Galle, Sri Lanka. 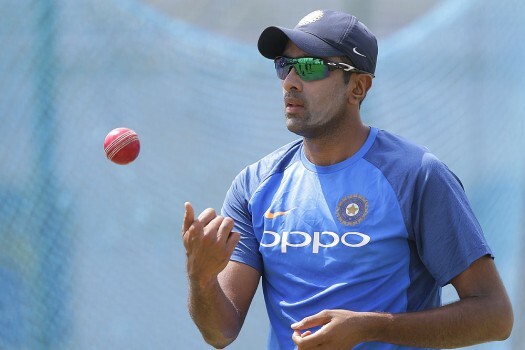 India's Ravichandran Ashwin tosses a ball during a training session ahead of the first test cricket match against Sri Lanka in Galle, Sri Lanka. 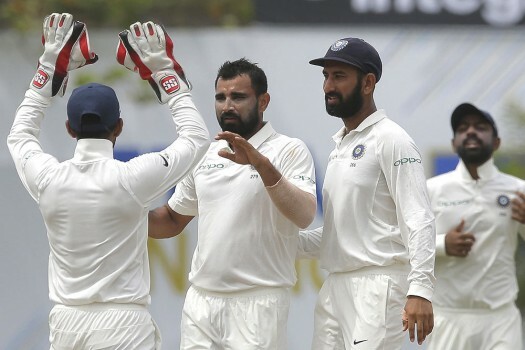 India's Cheteshwar Pujara, left, attends a training session ahead of the first test cricket match against Sri Lanka in Galle, Sri Lanka. 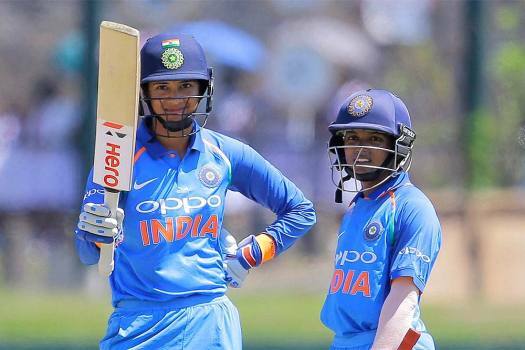 India's batsman Rohit Sharma, left, listens to head coach Ravi Shastri during a training session ahead of the first test cricket match against Sri Lanka in Galle, Sri Lanka. 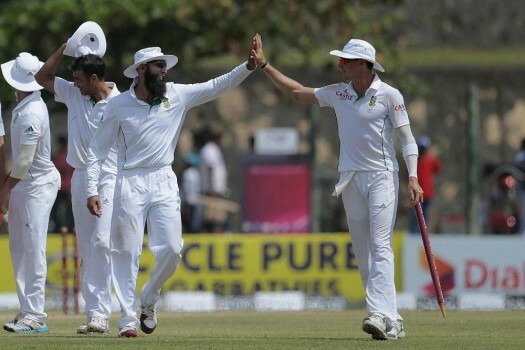 South African captain Hashim Amla, left, and Dale Steyn after defeating Sri Lanka by 153 runs during fifth day of the first test match in Galle, Sri Lanka.